Walnut herringbone flooring, pre sanded ready for applying either oil or lacquer final finish. Lacquered will give a rich easy care sheen with just an occasional wipe over . Oiled gives the floor a deeper shade and enables the floor to be rejuvenated or repaired relatively easily. Can be fully bonded to a suitable base or laid floating over underlay. Suitable for use over underfloor heating systems. 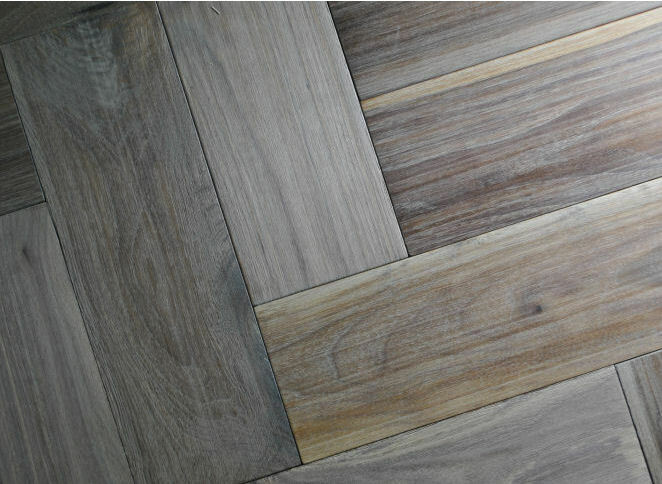 This flooring is ready for immediate delivery or collection from our Leeds warehouse. For further information please see our page. To view further images of our range of parquet flooring see our Houzz page.